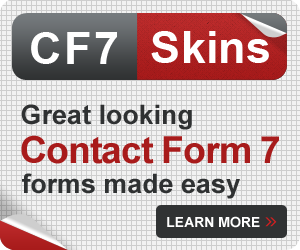 The Contact Form 7 plugin uses very minimal CSS styling to allow CF7 forms to blend in with most websites. Go back to Styling Contact Form 7 Forms. Many of my clients depend on custom forms and I’ve had experience with many of the plugins on WordPress. 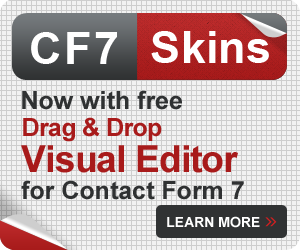 CF7 Skins has made life so much easier and allows the ability to quickly and efficiently customize and tailor forms to suit your needs. Highly recommended. Support is A+.